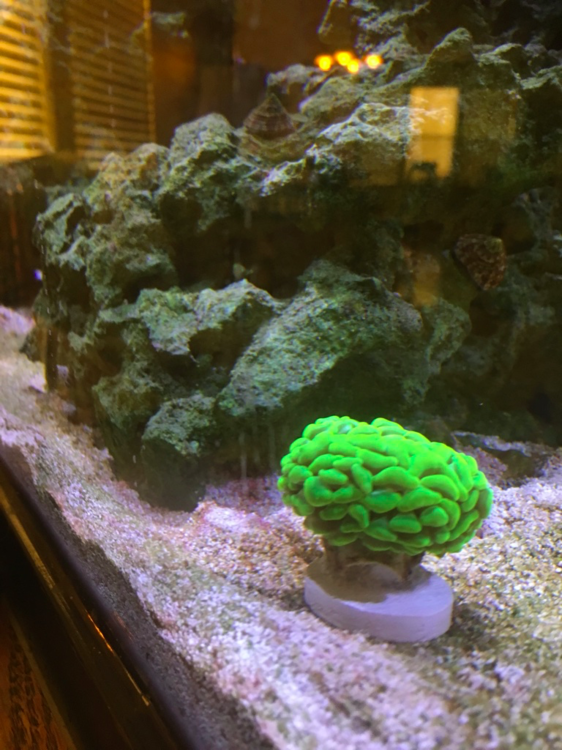 Tank update: The tank is doing well, I still have traces of cyano but everything is going well. 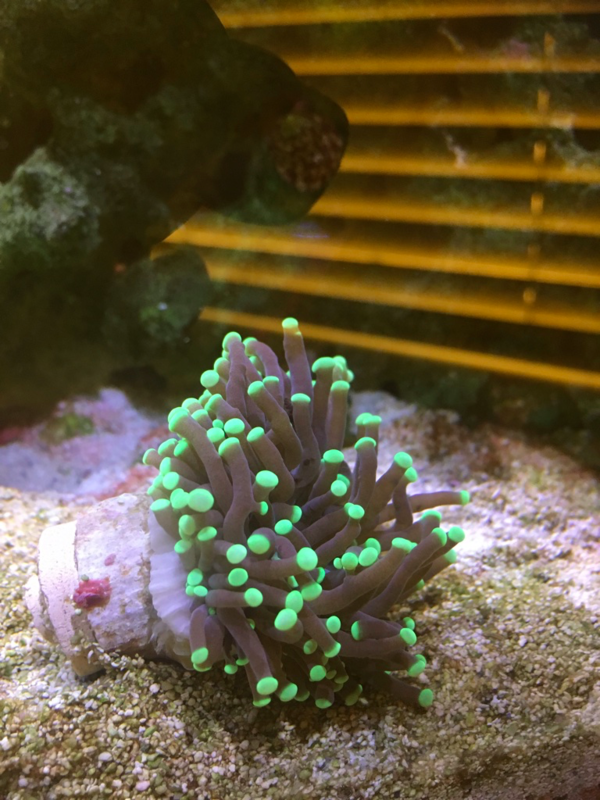 I also got a Coral Beauty. Tank looks great! Nice to meeting you and your mother tonight. I’m jealous of that yellow hammer. Some nice pieces E! I would think about getting a better base for that torch. 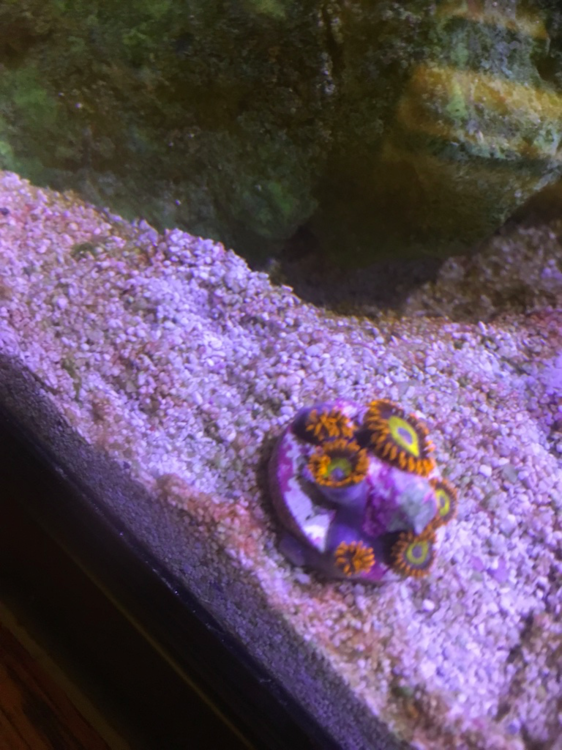 Just a little bit in the sand can cause polyps to slough off. Did you get rid of the Flame angel? Euphilia. Some of my favorite. Nice!